The quality of work performed by your employees? The accuracy in chemical additions and calculations? What type of equipment is at each of your facilities? Access your customer records from anywhere? 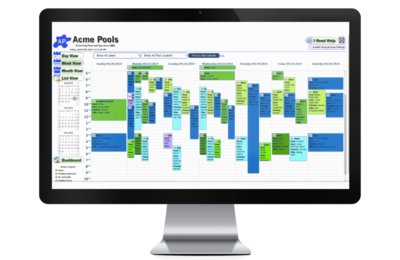 Notifiy your customers the moment you finish their Pool? Do you have real-time records of the services you provide? Get effective transportation routes from one job site to another? Go Paperless and work from anywhere at anytime.